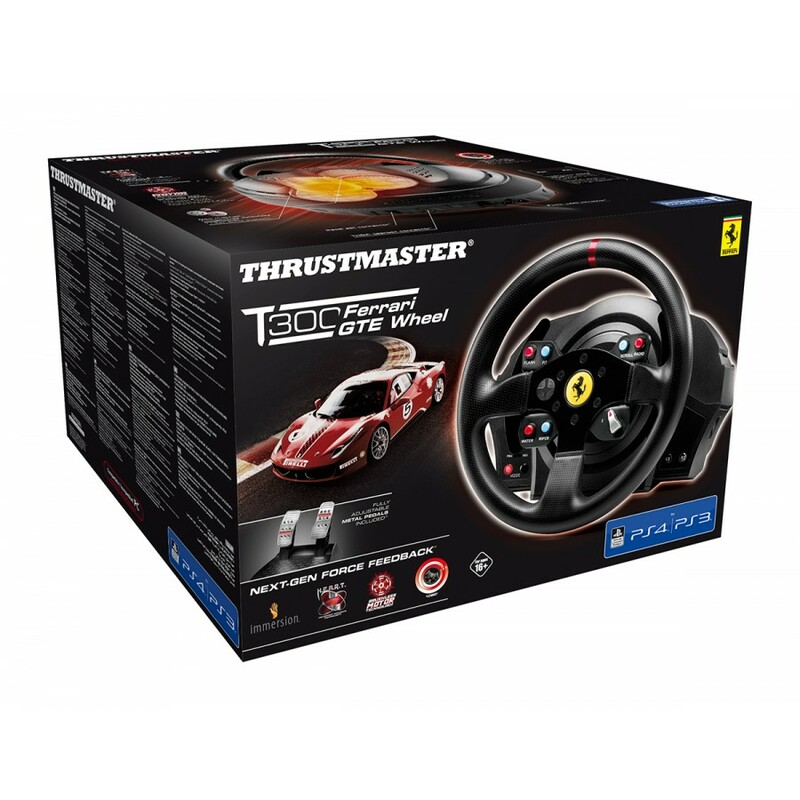 Thrustmaster has revealed their first official Playstation 4-compatible wheel that is available in two different versions. Named the T300, the wheel is available as RS version, using a sportscar-looking wheel rim with playstation branding. 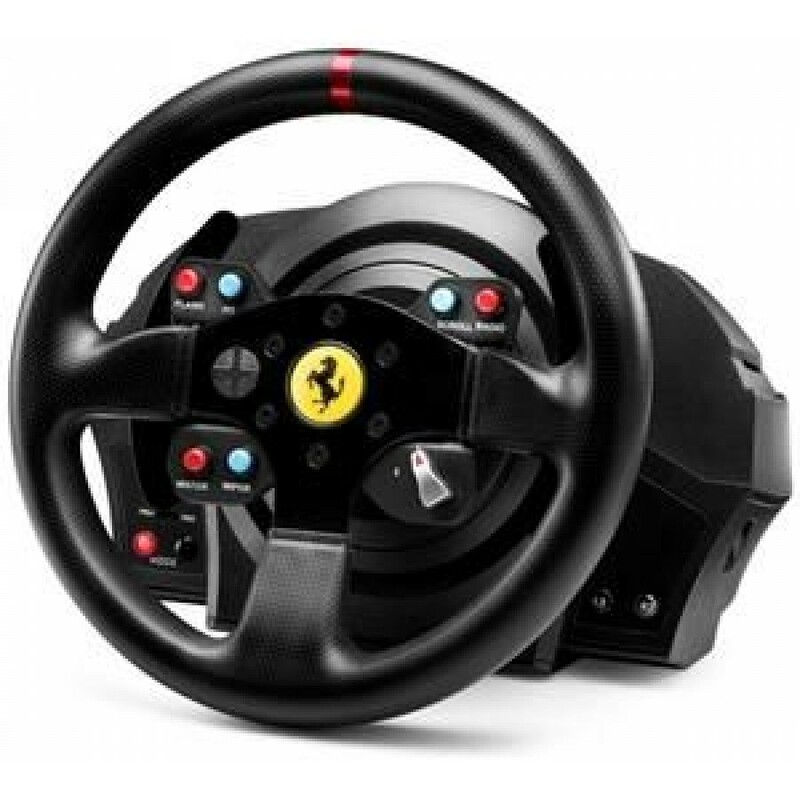 Sim Racers that want something more racing-oriented can opt for the T300 Ferrari GTE, featuring a 7:10 scale replica of the actual Ferrari GTE race car wheel. 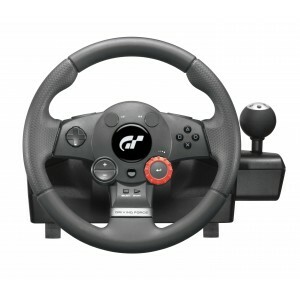 The wheel rims are equipped with several buttons, coming with sequential shifting paddles fixed to the wheel rim. 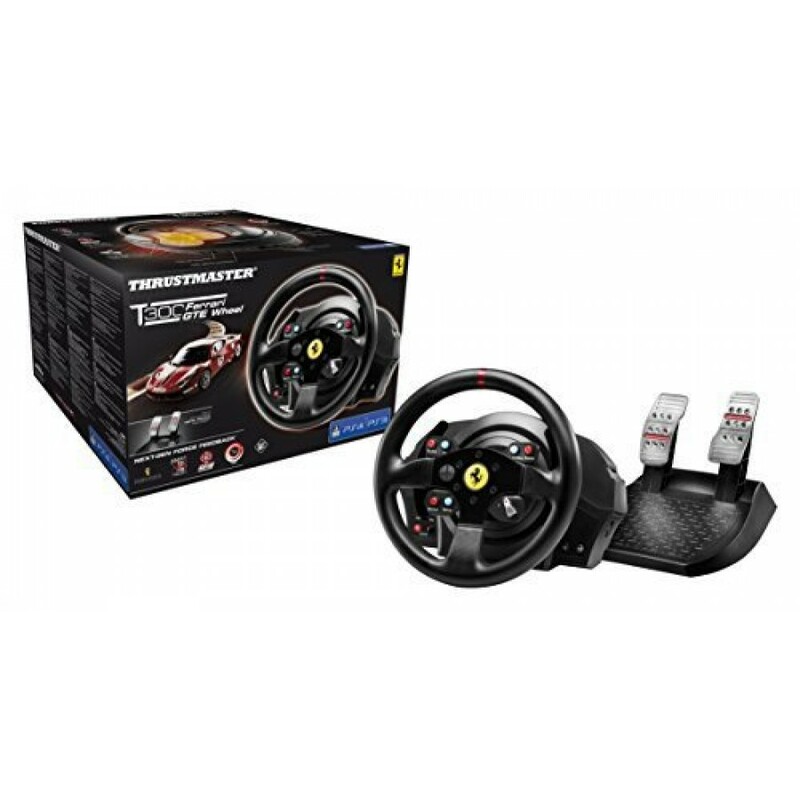 Both rims use the same base as the T300 is powered by a brushless motor, Thrustmaster’s patented Heart Hall Effect Accurate Technology as well as 16 bit contactless magnetic sensor. 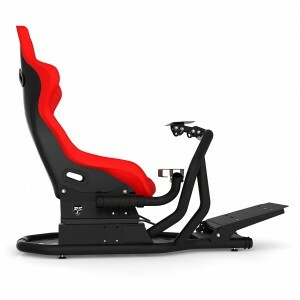 Compared to it’s big T500 RS PC brother, the T300 comes with a slightly simplified pedal set. 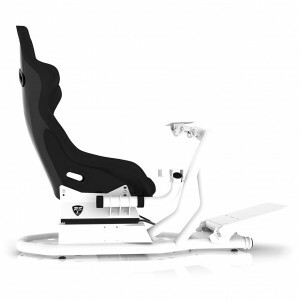 While still being adjustable, the T300 set has lots the clutch pedal, it also can’t be used inverted like the T500 RS can. 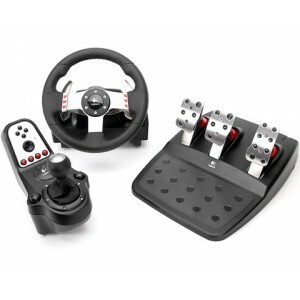 While the T300 has lost some of the features of Thrustmaster’s flagship wheel, full compatibility throughout the product range is maintained as the T300 base works with all Thrustmaster wheel rims, T500 RS owners can also use their pedal set on the new wheel. 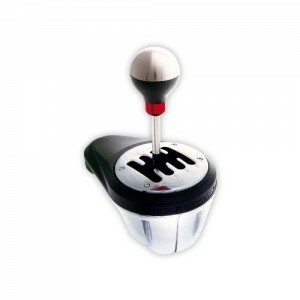 Needless to say, Thrustmaster’s shifters are compatible to the new device as well.